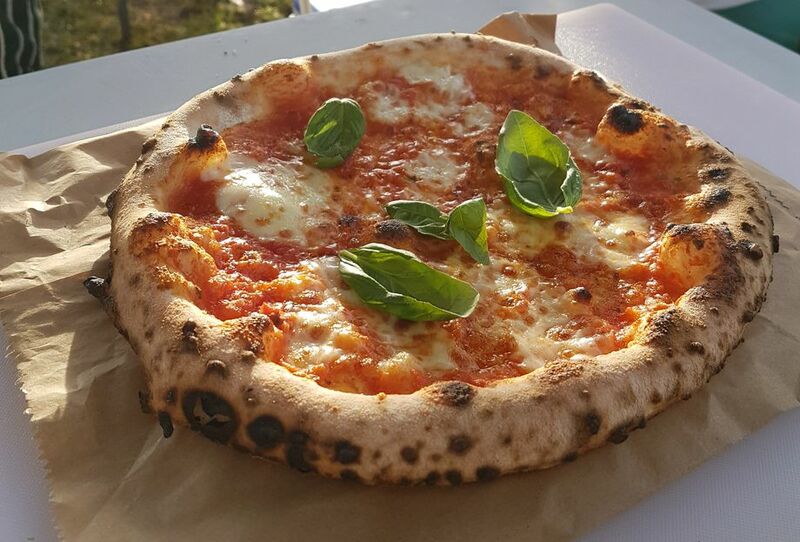 Prices start at £8 per head (dependent on location and pizza choices) This includes: Pizzas hand-stretched and baked fresh at the event. Minimum of 1 pizza per person 3 different pizza options selected from our menu. We are also happy to create bespoke pizza toppings based on your favourites. Pizzas served 'buffet style' or 'made to order'. 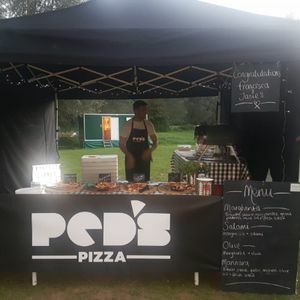 Ped's Pizza serve amazing fresh pizza using a portable set-up. 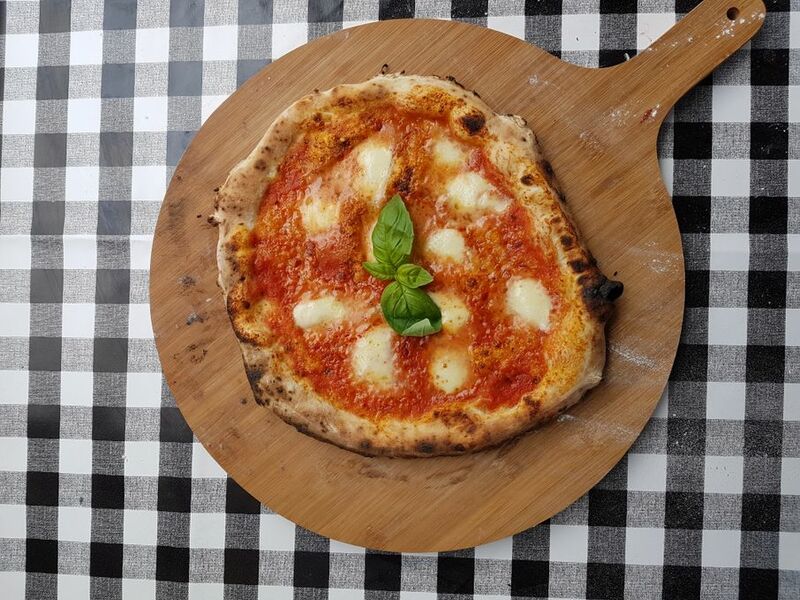 Their pizzas are made with passion and authentic ingredients; a perfect combination to enhance any event. 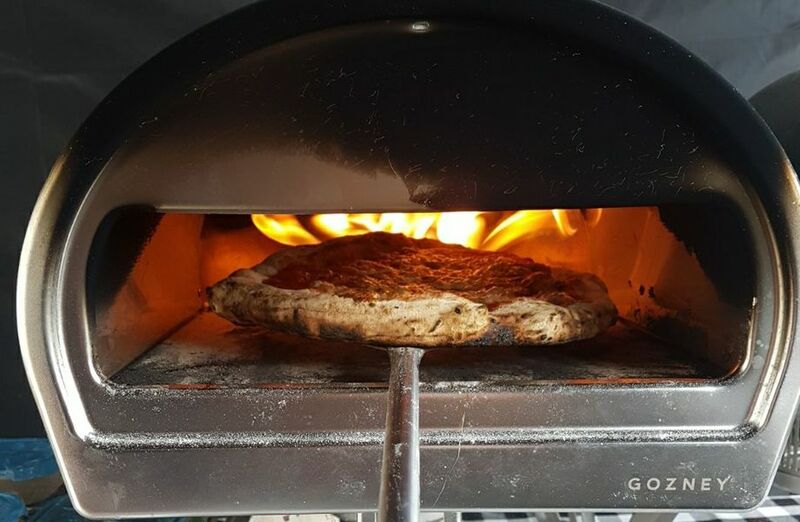 The dough is made from Neapolitan pizza flour which is hand-kneaded before being slowly proved for around 24 hours. The dough is then hand-stretched to order. The majority of their ingredients are sourced directly from Italy to give customers the most authentic experience possible. 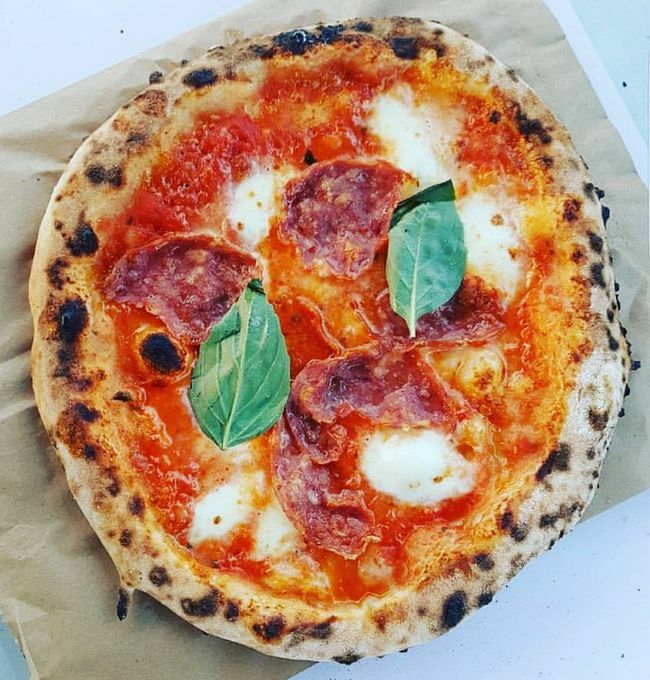 Their tomatoes, salami and flour come from producers in Naples, the 'nduja from Calabria, fior di latte mozzarella from Campania and Grana Padano from the Po Valley. Operating from a smart black gazebo, they can fit into most spaces. They usually serve pizzas ‘buffet style’ - a fun and flexible way for your guests to enjoy our freshly-made pizza. Alternatively, they can also serve individual pizzas made to order!